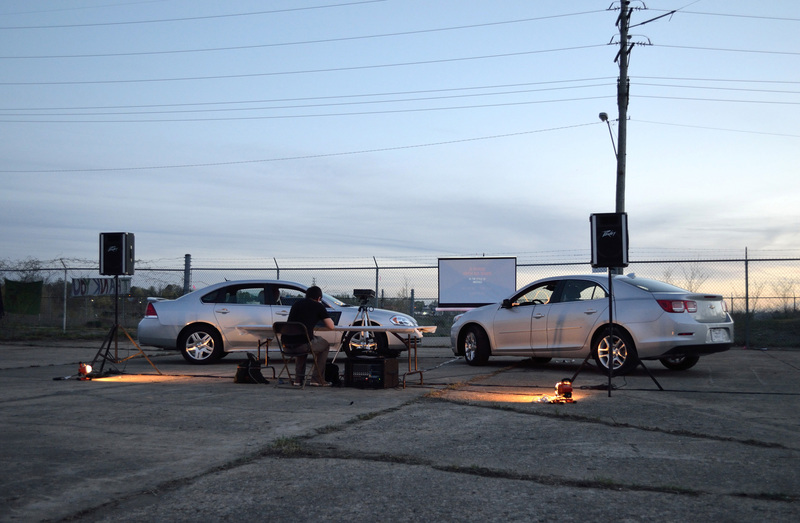 Two silver Chevrolet sedans, PA system, microphones, portable projection screen, projector, and lights. 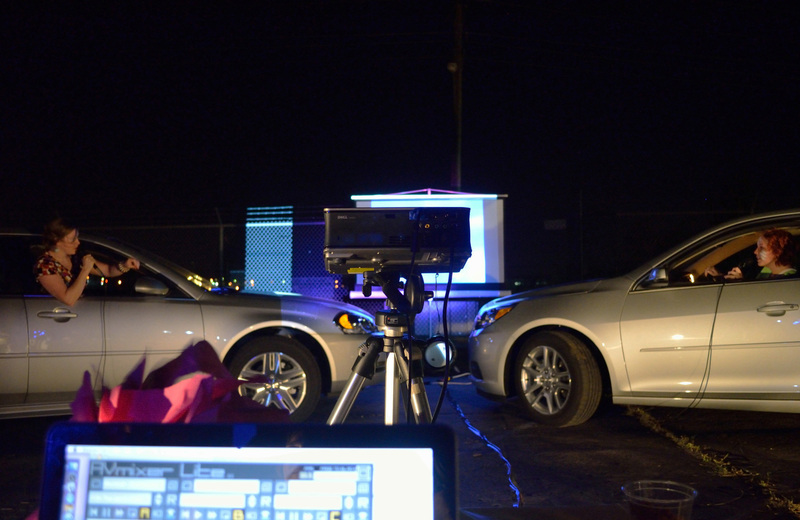 A participatory event featured in the 2013 Free City Public Art Festival organized by the Flint Public Art Project in Flint, MI. Festival visitors were invited to sing songs to each other from separate vehicles through a karaoke system. Evening performances were recorded and then played through the car's stereo during the day.